Business cards are a surefire way to introduce your business in a professional way. The card has a company’s contact information. But a cleverly created business card design helps build a brand identity of the company as well. Each elements incorporated to create the card should contribute in making the card stand out. Every business tries to impress its clients with business cards that are primarily used to convey some contact information. But over the years, the cards have become a way to market a business. So, the cards are being designed in varied ways. There are many experiments happening in creating business card design. But there is a huge competition that a new business has to face in any given market. There are over 27,397,260 business cards printed in the U.S daily. This gives you an indication of the competition your business card faces in drawing the attention of target audience. 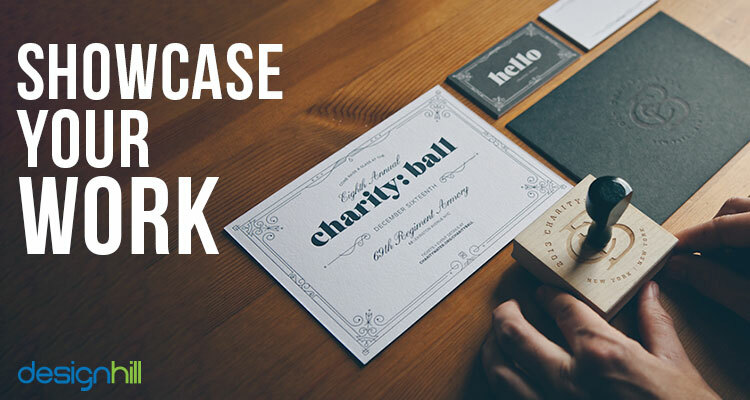 Business cards have been a mainstay of professional interaction for decades, and have subsequently also earned a reputation as being bland and corporate. However, with a little creativity and an eye for graphic design, you can design a business card that will make it memorable and say something about your brand. Before one starts to work on a business card design, do a research of your client’s business. You need to have some information about the target customers and target market. Get some details about customers’ backgrounds. The card design must reflect the customers’ and the client’s expectations from the business. Some clients do not provide enough details in design brief. So, do your own research. You can use your own work as both a starting point for the card design as well as an opportunity to show off your creative output. Business Insider suggests printing images from your Instagram feed on the back of your card. This provides the recipient with a peek at your work, and creates an opportunity to promote yourself. The most important part of your business card is that it makes you memorable, and it should be personalized accordingly. You should also make sure that once you’ve got someone’s attention, there’s follow through. In other words, if you pique interest with content on your Instagram feed, you need to make sure you also provide a link or username. Attention grabbing tactics are a good way to win attention and make your business card multifunctional. But it should be a first step in a multi-pronged strategy of how to draw potential clients to engage with your work directly. At a standard size of three-and-a-half by two-inches, business cards leave a very small amount of space to work with. That means that every inch is a prime real estate, and you need to choose how to present essential information carefully. For example, do not make your logo too large and the text too small. Also use white space if it works in the business card design. However, that doesn’t mean that minimalist layouts are superior to more colorful or patterned ones. The key to good design is the balance. If you’re going to opt for a busy pattern that somehow relates to your business, then you need to make sure that the text and other pieces of information fit within the design of professional business cards. When using business cards maker tools, pay attention to balancing various design elements to make the card look professional and stand out. You can’t just slap your logo onto a design that doesn’t match. It creates an incongruous aesthetic that will not only turn viewers off but also makes you look unprofessional. 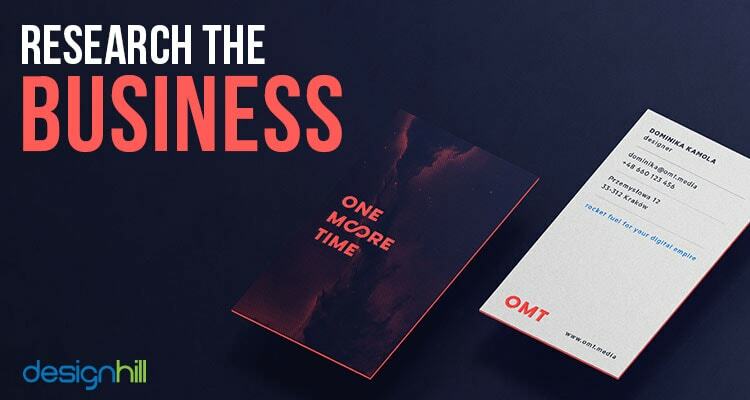 Make sure that you balance the various elements in your business card designs, and not go overboard with too many bells and whistles smashed together. A business card design that works simultaneously as both a calling card as well as an art object is the most memorable. You can experiment with the form of the card. For example, create a business card that can be folded into a seat-like holder for odds and ends. You can think of a card that comes with seeds to sprout a plant after being soaked in water. Even if the recipient of your business card doesn’t use the card for its intended use, the sheer ingenuity of it will create a positive and strong impression. Note that the person you’re giving your card to will also receive dozens of other business cards. Therefore, to stand out, you need to have a few tricks up your sleeve. This is an especially effective approach when the concept ties directly into your industry. However, make sure that there is no mismatch between the used elements in the company’s logo design and business card design. The use of colors, typeface and other elements must be almost the same. In other words, borrow the elements from the client’s logo when designing a business card. The key thing to remember is that the design of a business card should say something essential about the business. In Paste’s top 50 business card designs in August 2014, the aesthetics ranged from acid pop art colors and patterns to minimalist layouts with clever logos. However, the core value found in all the business cards was that they all tied in with the brand. Regardless of how clever a concept for a business card you come up with, if it doesn’t link with your brand, it will fall flat. All good business cards should always practice the principle of function over form. Start with what defines you as a brand, and then brainstorm going from there about what kind of aesthetic you want to go for in the design. As you design a business card, printed t-shirt always remember that the number one priority is conveying contact information of your brand. Colors and typefaces are two key design elements. 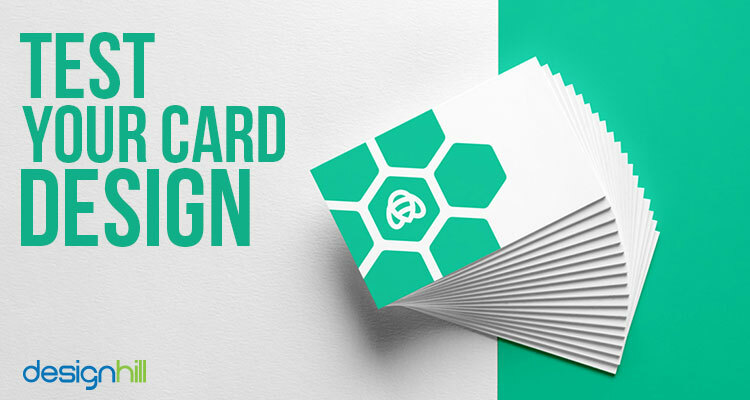 Strategic use of these elements gives business card designs an edge over other cards in the market. But a basic to using colors and typeface is to borrow these elements from the client’s other graphic designs. You should have a look at the company’s logo, brochure design and other marketing materials. An experienced graphic designer will borrow the elements and give them a new look in a card design. After you’ve completed an initial design, give it a test run. Ask one of your friends to hand off your card to someone who doesn’t know you, and see what they think your business is all about. Hearing real people’s reactions is the best litmus test for how successful your design is at conveying information, and will let you know if you’re going in the right direction. 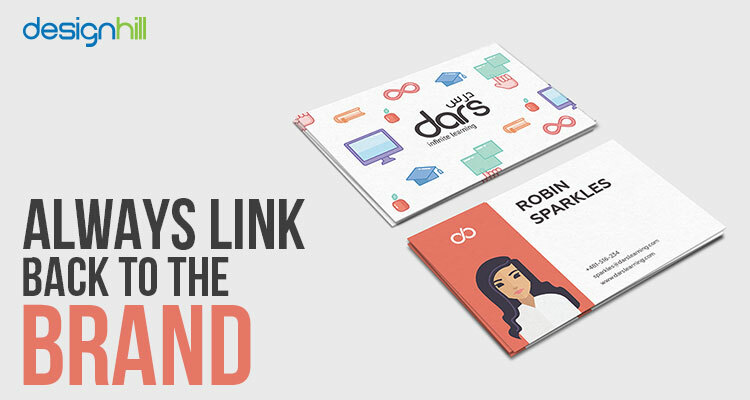 So, these are the key considerations for creating unique and memorable business card designs. If you are looking for an affordable option, think of Designhill, a leading marketplace for graphic designers and business owners. At this marketplace, you get nice business card designs and other graphic designs at low costs. There is no risks as the crowdsourcing site has 100% Money Back Guarantee policy. 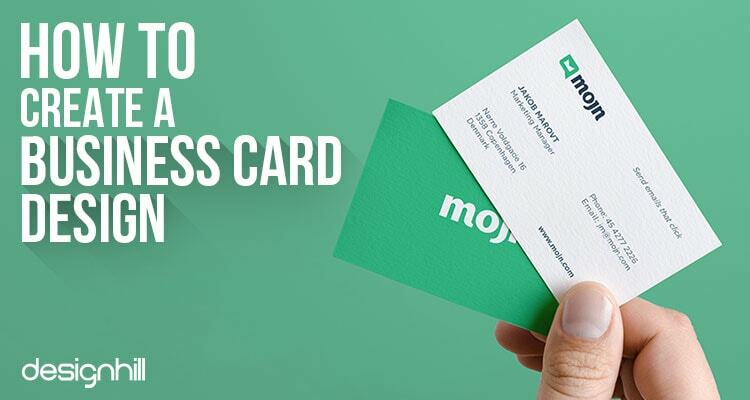 A business card design should target the client’s customers and market. Each element used should convey the message. 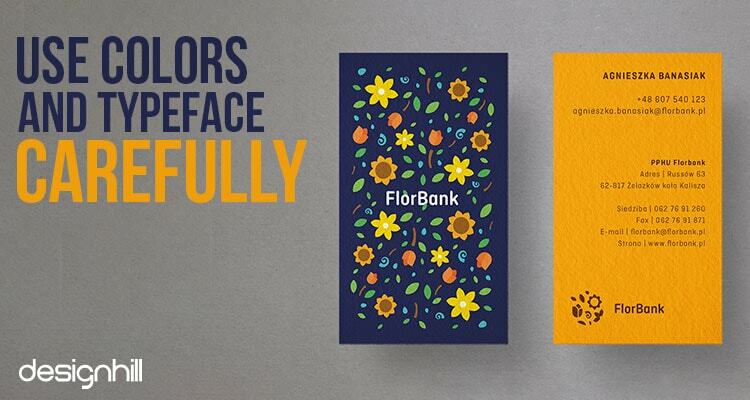 Use of colors and typeface is crucial to give the card a new look and feel. Make sure that the card design stands out.